Do you brunch? It has to be one of my favorite meals combing the sweetness of breakfast and savory tastes of lunch. 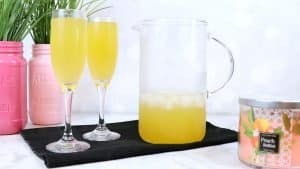 Most importantly a good brunch come with a delicious cocktail and today I’m sharing a mango bellini you can make and serve at your next brunch. Impress your friends and give them a reason to linger with this sweet and fruity drink. A bellini can be made in so many forms. 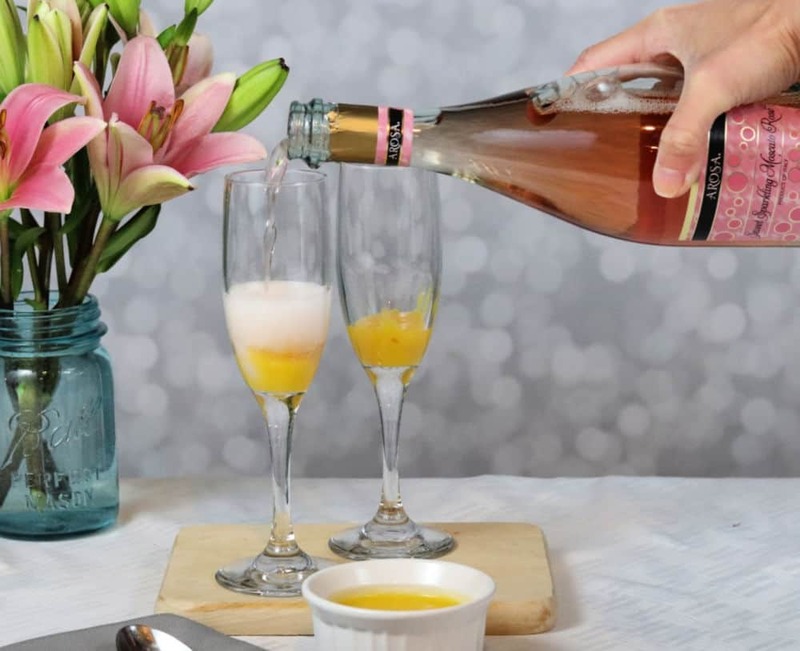 The traditional version combines peach nectar and prosecco, a deliciously sweet and tangy sparkling drink that pairs so well with breakfast or lunch (and BRUNCH!). I’ve made a pitcher of bellinis and have experimented with all kinds of fruit in this cocktail, but this mango bellini might just take the cake. 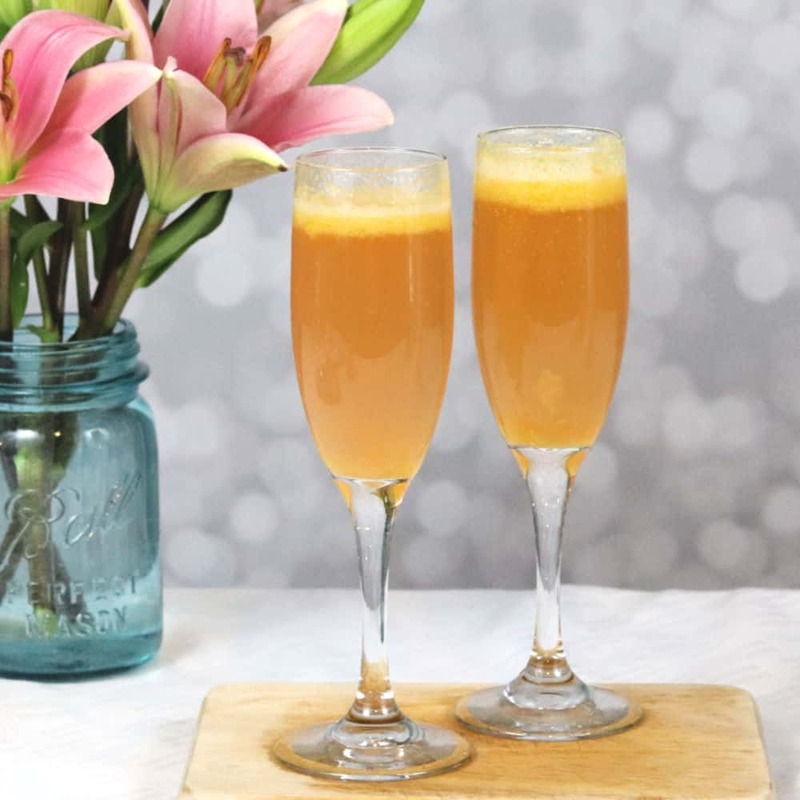 This recipe calls for fresh pureed mango, triple sec and sweet sparkling rose. It’s pretty amazing. The full recipe is below, but let me share a few tips with you first. I started with a fresh ripe mango, the fruit is soft to the touch and peels easily revealing a sweet and juicy flesh. I peeled and cut the mango then added it to my Ninja. 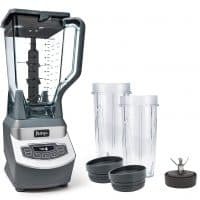 This blender is the key to a perfectly smooth puree, I use it for smoothies too and they are never lumpy. With the mango I added a shot of triple sec and blended until it was as smooth as baby food – just a grown up version! This puree is the base of the mango bellini. I spooned a bit of the puree into a flute and then topped it with sparkling rosé. The puree will sit on the bottom and you can enjoy the cocktail just like that, or you can gently stir the bellini to combine all the ingredients. The rosé is sweet and delicious and the triple sec adds a little citrus kick to the drink. 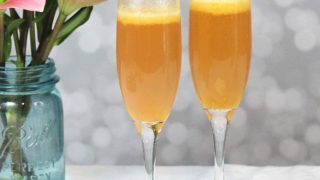 Are you a fan of this Mango Bellini? Be sure to pin it and share it with your fellow brunch lovers. 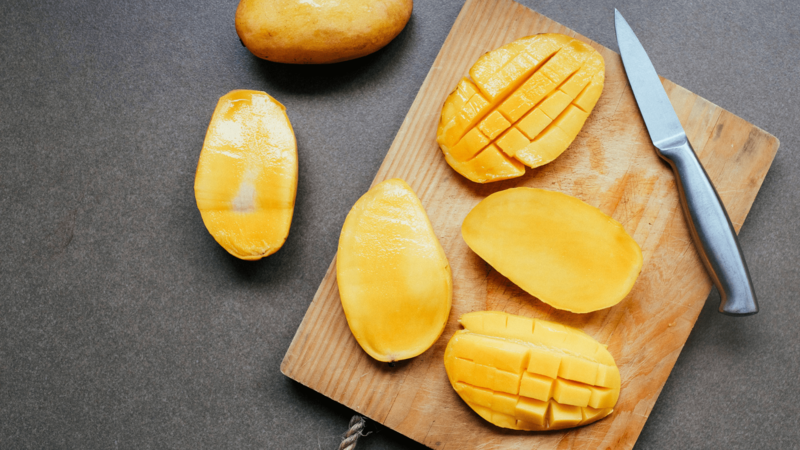 Peel and cut a mango. 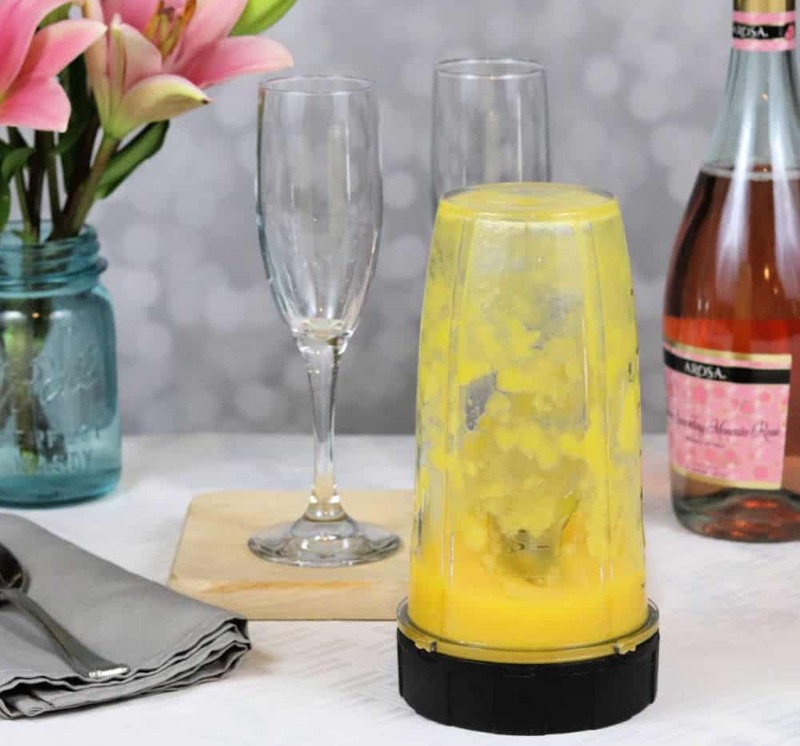 In a blender combine 1 ounce Triple Sec and mango, puree until smooth. Spoon 1 Tbsp into the bottom of a flute. Top with Rosé and enjoy immediately. 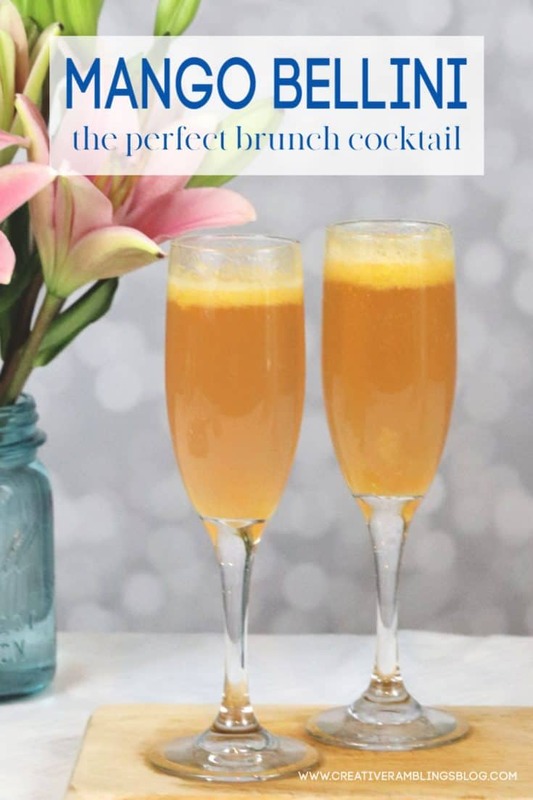 If you are a brunch fan like me then you are going to love these cocktails. Having spent my youth in Hawaii, ‘Mango’ is my love language and when combined with Triple Sec and Sparkling Rose…sounds like the perfect brunch cocktail. BUT, there’s no law I couldn’t enjoy one at 5 o’clock either!